The Dispatch News Desk (DND) is an international award-winning News Agency, accredited and certified by the Ministry of Information and Broadcasting, Government of Pakistan for distributing news in Russian, English and Urdu languages. DND News Agency is also registered with Ministry of Information Broadcasting and Heritage of Government of Pakistan. The content published on DND.Com.PK is solely owned by Dispatch News Desk (News Agency) that is operational in Pakistan at 169 D block Satellite Town, 6th Road, Murree Road, Rawalpindi Islamabad Pakistan. Russian publication provides content exclusively pursuing Russian speaking people in Eastern Europe, Central Asia, North America and Europe while its international content in English has an extra edge in global market. Content of both portals are not mere translation but exclusive as according to political, social and cultural demands of Urdu, English and Russian markets. DND online Russian Radio promotes culture and music of Pakistan, Central Asia and Eastern Europe. DND has separate Editorial staffs for each of its sections— Online Russian Radio – Russian News Agency —Urdu News Agency and English News Agency. DND provides news updates written by a team of reporters, contributing editors, writers, guest analysts and correspondents, focused on television news, news generated by current affairs shows, events, company news, market trends, political and legislative developments, with a focus on democracy, human rights, gender rights, transgender rights, travel, terrorism, tourism, entertainment, food and global issues. The content of the reports is editorially regulated according to news values, accuracy, copyright protected, and independent of any advertising and sponsorship carried. DND Breaking News provides urgent news items distributed as and when necessary. Same are posted on our news portals at www.dnd.com.pk and www.dispatchnewsdesk.com as DND is also a moderated web-based community message board for feedback, comments and reaction from readers. DND has field reporters and contributors all over Pakistan as well as in Central Asia, South Asia and Eastern Europe. Chief Editor Agha Iqrar Haroon has been working with national and international media houses for the last 29 years as journalist as well as Development Observer. As a reporter and senior correspondent, he worked with daily The Nation (Lahore), daily The News (Lahore), daily The Frontier Post (Lahore-Islamabad) and ETN News Agency (Islamabad) during 1988 to 1996 before joining Government of Pakistan in Ministry of Tourism as Consultant Media. He went back to main stream journalism in year 2001 after resigning from Ministry of Tourism. He also anchored shows in Abb Takk and Waqt News television channels. He is regular participant in talk shows at different national televisions including state run television of Pakistan. 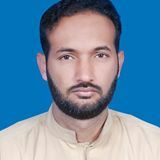 He has strong background of project management working with Public (Media Consultant Ministry of Tourism Government of Pakistan, private (Chief Controller News Waqt Television and supervisor of Current Affairs Department Geo TV Lahore) and international organizations (Country Coordinator/Producer Abu Dhabi and Correspondent eTN United States in Pakistan and Central Asia). He sometime also teaches in Beacon House University Lahore (Television production). Mrs. Naheed Niazi is a seasoned columnist. 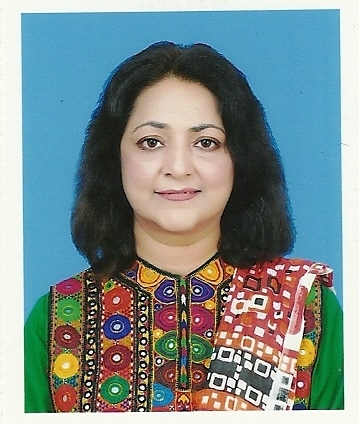 She looks after Urdu online newspaper and Urdu news distribution.